Film in Action Now in Stock! 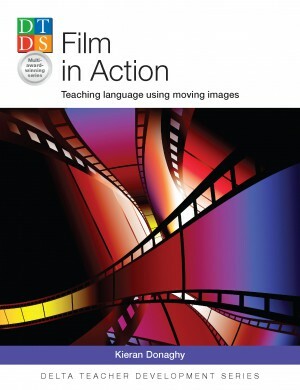 Film in Action is now in stock and can be bought at book stores and on Amazon. Remember that to celebrate the publication of the book there is a wonderful film-making competition in which your school can win state-of -the-art video-editing software and a signed copy of Film in Action. i would encourage all teachers who use Film English regularly to consider buying the book as the royalties which I receive from my books help me to keep Film English completely free. As you probably already know, maintaining the site costs me a lot of money and takes up a many hours of my time. If you can’t afford to buy the book yourself, why not ask your school to buy a copy. I hope you enjoy the book and look forward to hearing your opinions on it. If anybody would like to write a review of Film in Action, please post it on the Amazon page or send me a copy and I’ll post it on this site. To celebrate the forthcoming publication of my new book Film in Action for DELTA Publishing in April, I’m going to share some activities from the book in a series of posts over the coming weeks. Here’s the first. 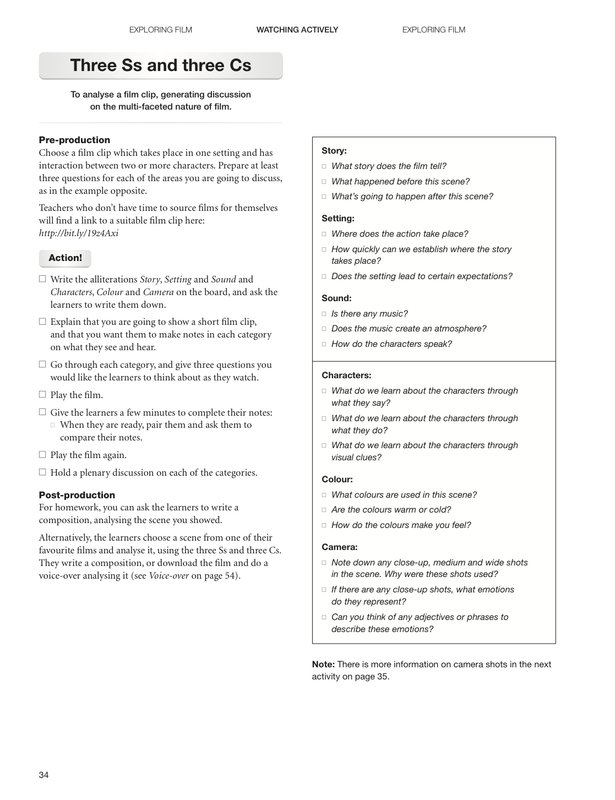 This simple activity gets students thinking and talking about the multi-facteted and multi-modal nature of film and generates a huge amount of discussion and language with minimal teacher preparation. I suggest you use a dramatic scene which has quite a lot of tension. Here’s a scene from American Beauty which works very well with this activity. However, the activity can be used with virtually any scene which has interaction between two or more characters.